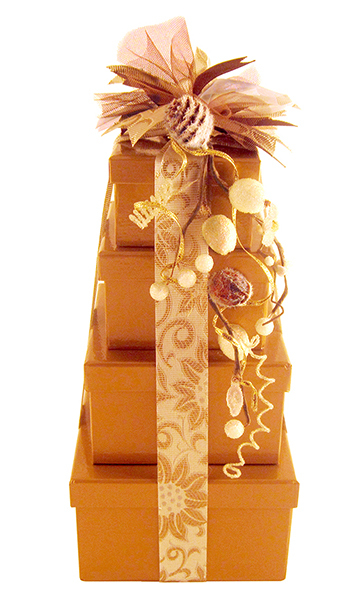 Our solid gold tower for chocolate lovers -- filled with our best selling chocolate, and topped off with a box our Ganache Truffle Fancies. Also contains assortment of Paw Prints, Deluxe Assortment and Chocolate Covered Pretzels. This gift recognizes all the VIP's in your life as the golden friendships they represent to you.